Divide half of yogurt between two dishes. Add ¼ cup each pineapple and mango. Combine lime juice and honey; drizzle over fruit. Top with remaining yogurt; sprinkle with coconut and ginger, if desired. 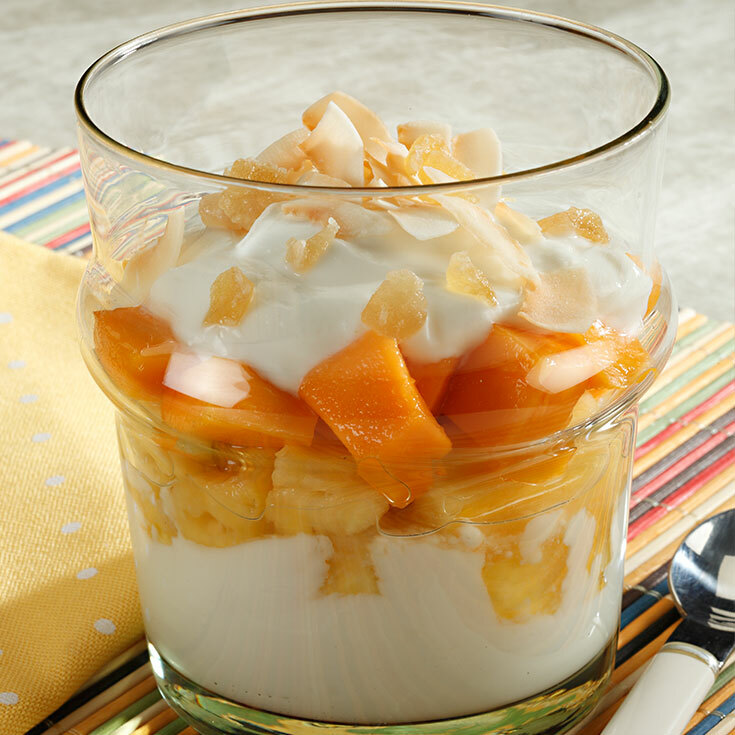 Parfaits may be prepared, covered and refrigerated until serving. Variation: Papaya, kiwi and bananas may be used.